I love to cook. I love to eat. I can't use the toaster without making a mess. Have you all heard of Stumble Upon? It's incredible. Go check it out...after you read this post of course! You basically set it to your personal preferences and it allows you to "stumble" onto different websites that you might be interested in. For instance, I have travel, humor, restaurants and recipes to name a few. I hardly ever use Stumble because I'm so busy. My boyfriend, however, who thinks of me always, sends me sites that he has found with incredible recipes. He fills up my inbox with tantalizing cookies, cakes, pies and brownies. Being in a long distance relationship, I don't get to share all my creations with him, so when I get the chance, I jump at it. Last week, Alex sent me a recipe for stuffed cookies. Yeah, I know. I made a few changes to it to call it my own, and whipped it up before I picked him up for a wedding in Ohio. (Mini photo montage). My next door neighbor, Ashley, all grown up! Anyway, Alex, his three roommates and uncle all loved these cookies. So did my family. Aka, they were a HIT. They look boring, I admit, but take one bite and you're in caramel heaven. The cookies stay soft even as the days pass. The insides stay gooey and perfect. I love these cookies. They will definitely be saved in my recipe box. It would also be great with other candies, I'm sure. Maybe Reese's or fun size candies? Give it a try with your favorite! 1. In a large bowl, cream together the white sugar, brown sugar, and butter until light and fluffy. Beat in the eggs, one at a time, then stir in the vanilla. Sift the flour, cocoa, and baking soda together and gradually stir into the creamed mixture. S-L-O-W-L-Y. Cover dough and chill for at least one hour. Meanwhile unwrap the candies. 2. Preheat the oven to 350 degrees F (175 degrees C). 3. With floured hands, wrap about 1 tablespoon of dough around each piece of candy, completely covering the candy. Roll each ball in the remaining tablespoon of white sugar. 4. Place 2 inches apart on an unprepared cookie sheet. Bake for 7 to 10 minutes in the preheated oven. Cookies should be set and slightly cracked. Rolos! I really like Rolos... and to have them as a surprise in a cookie, OKAY! I will have to give these lovey's a try:) Great dress, BTW! 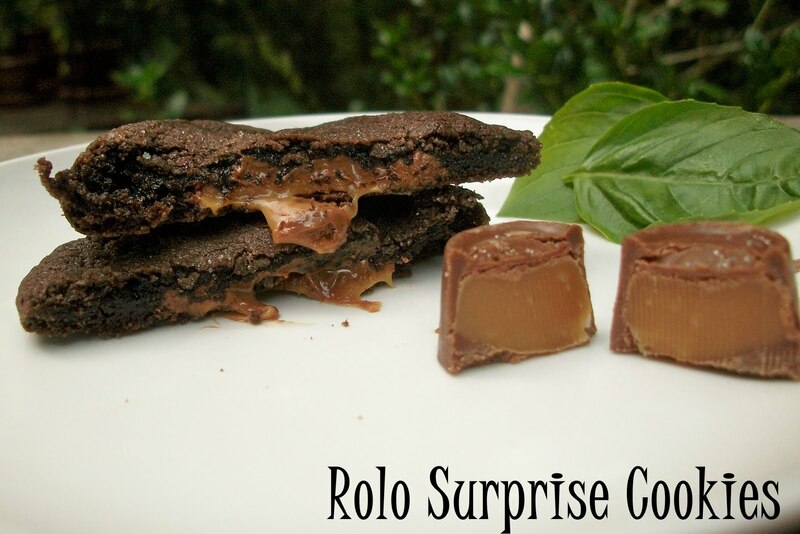 stumble upon is great and so are rolos.. these cookies look fab. As soon as I get the time to unwrap a whole bunch I am totally making these! What beautiful girls! And I love rolos...they remind me of my childhood. I would be so happy if I bit into one of these babies. Yum. Thank you for sharing such pretty wedding pictures and a great cookie recipe! Anything with caramel has to be awesome! Holy YUM!!! I haven't had Rolos in such a long time. You just reminded me how wonderful they are...my favorite as a child :) I also loved carmelos! Stumble upon is too dangerous. You waste hours and hours of your life on there but you find the most ridiculous links to send on facebook. Haven't found these cookies yet. But I have found a site dedicated to warming random objects in a microwave. The best was the christmas tree lights they threw in there. These sound absolutely amazing... I tried your whopper cookies and LOVED them, so I'm sure these will be amazing, too!! oops... just realized the whooper cookies weren't yours, but these still sound awesome!!! 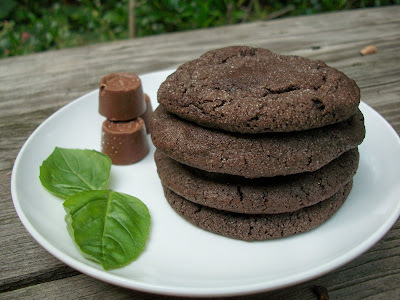 I made these cookies and they were great! My husband is not a huge chocolate fan though, do you think I could just leave out the cocoa? The rolo inside is the best part anyways.... I guess they would be vanilla caramel surprise cookies? I just finished making these, and they turned out great. They needed to be in the oven a little bit longer than the recommended time on here. Thanks so much for the recipe! ...I totally stumbled upon this! I'm so glad I did. These look delicious! Can't wait to try them. I'm definitely doing to try this on the weekend. I just stumbled upon this! 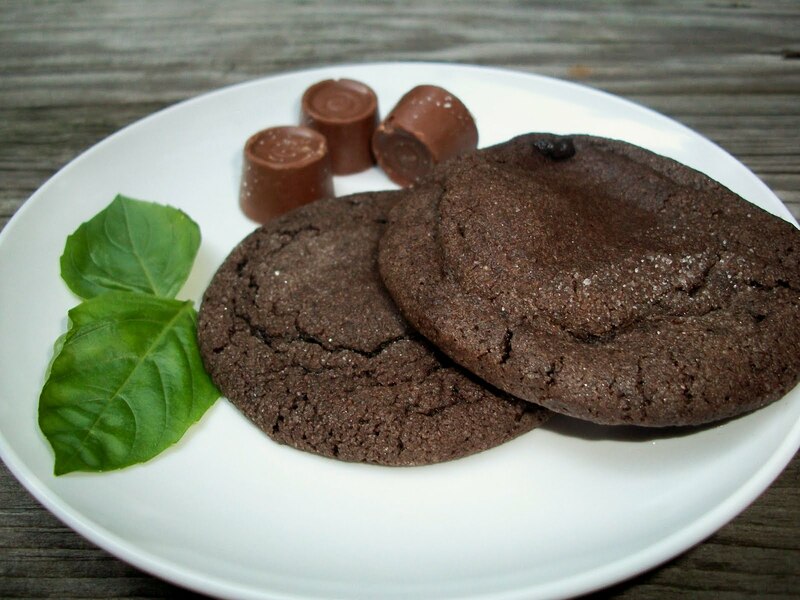 These cookies look delicious and I will definitely have to try them out! What I do when I make them is dribble white chocolate on the top and that just adds to the all over deliciousness. Just get the bakers white chocolate squares, heat it up and use a fork to dribble across the tops of the cookies. I stumbled upon this as well! They look delicious! So happy that stumble upon is stumbling people to my blog!! 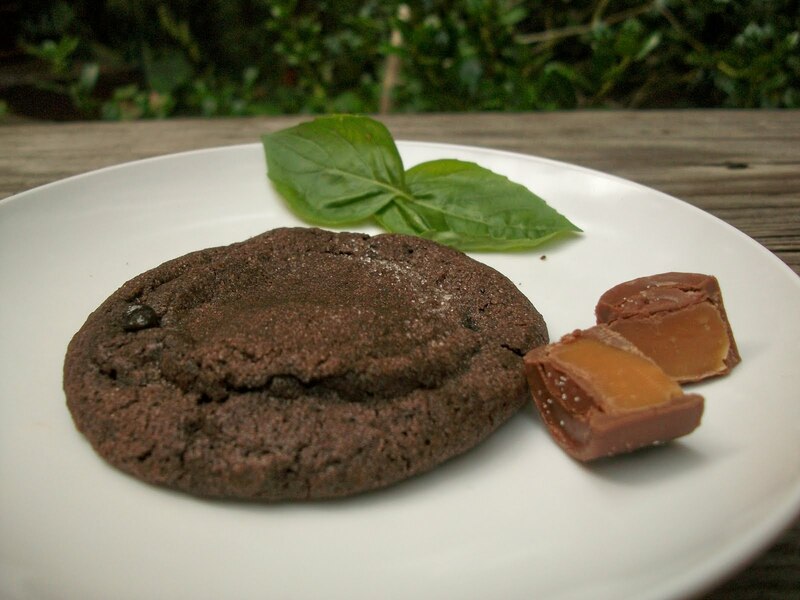 These cookies were SERIOUSLY good... check out some of my other recipes, and thanks for stopping by!! The Girl Making the Mess.